We offer Spanish courses at different Spanish schools in Argentina as well as Online Spanish classes. 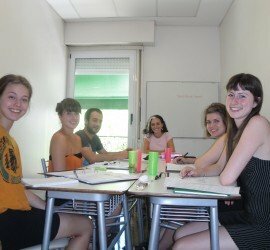 Our Spanish programs offers you a unique opportunity to learn Spanish and stay in different locations, with guaranteed continuity and progression in the Spanish learning process. 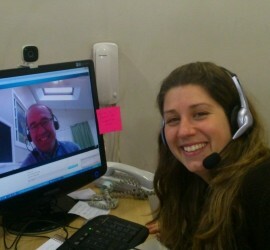 Our Spanish courses Argentina & Online Spanish classes are designed, above all, to be practical, effective and enjoyable! You will not only extend your knowledge of grammar and vocabulary but also improve your confidence and fluency in speaking Spanish, listening and understanding. Our key resources in helping you to achieve rapid progress are well-designed learning Spanish programmes, small classes and excellent teaching. You can also choose to prepare for an internationally-recognised examination or to take some additional individual one to one classes to focus on your special needs or interests. If you are looking to learn Spanish, we offer a wide range of Spanish courses at our Spanish School in Buenos Aires and at our schools in Bariloche, Cordoba, Mendoza, Salta and Ushuaia as well as in our partner school in Margarita Island in Venezuela. Available at all centers are courses for General Spanish, Business Spanish, Academic Spanish as well as more specialist options such as Corporate Language Training, Home Tuition and Online Learning. Our Spanish lessons include all levels of competence and varied study times during the day (morning, midday and late afternoon sessions). You can learn Spanish for 10 hours a week (regular Spanish course), 20 hours a week (intensive Spanish course) or 30 hours a week (super-intensive Spanish course) in group,, one-on-one lessons or combining group and private tuition. Our General Spanish courses at upper-intermediate, advanced and proficiency levels will prepare you to take international Examinations. Our schools of Spanish are accredited by SEA (Association of language schools of Argentina) which is the best guarantee of quality and high Spanish language teaching standards. Our language courses allow students to develop all practical language skills in a multilingual environment and our Special Spanish courses provide a more specialized language course alternative for professionals who need to be well prepared to use Spanish in their jobs. Our Spanish schools welcome adult learners (16 years +) from all around the world. 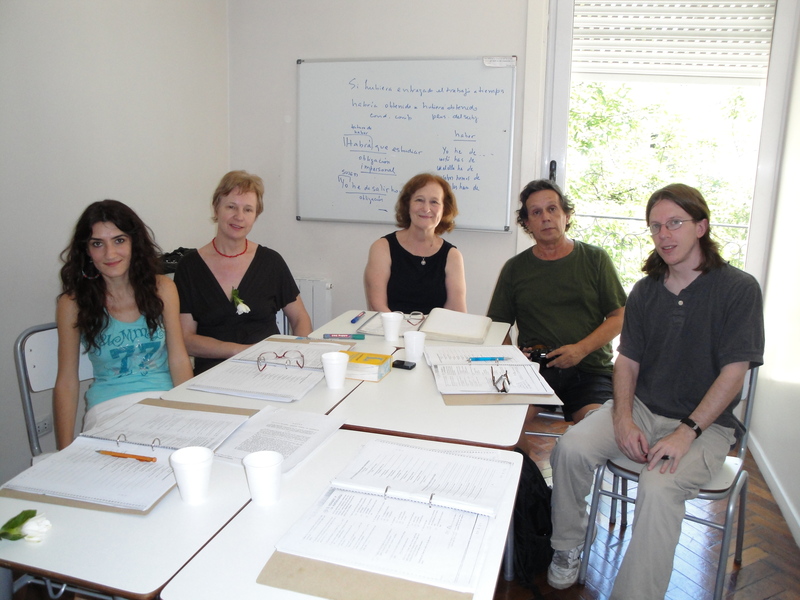 In Buenos Aires we also offer Spanish courses for children. You can study among over 20 different nationalities – and we all communicate in the target language of Spanish! Information about interesting social events is displayed in the schools and you can practice your Spanish even when your Spanish lessons are over for the day! Our network of schools located in different cities of Argentina and our partner school in Margarita Island, Venezuela are all very central located. For example, our language school in Buenos Aires is conveniently located near central Buenos Aires. It is close to 2 underground / subway lines (B Line & A Line) and major bus routes and also near to Palermo and the main attractions of Buenos Aires. If you are looking for accommodation while on your course in our Spanish language schools, our staff can find a host family for you, a shared apartment, a private apartment or a hostel (availability depending on the location). Make your Spanish language course choice today! Come to learn Spanish in Argentina at our Spanish language schools in Argentina or in our partner school in Margarita Island in Venezuela! Welcome to our Spanish courses Argentina & Online Spanish classes! Looking forward to meet you in our Spanish courses Argentina & Online Spanish classes!